Glycerin or glycerol is one of the oldest and safest ingredients used in most of the cosmetics such as lotions, creams, moisturizers, shampoo and conditioners. It is an odorless, gelatinous and tasteless, thick liquid that can be extracted from both vegetables and animal fat. Glycerin supports the health of the skin and makes it soft, supple and glowing. Let us learn in detail why to include glycerin in the everyday beauty regimen. 1. Keeps skin hydrated– Glycerin is a natural moisturizer that keeps skin fresh and hydrated. It is a perfect solution to get rid of dry and parched skin. 2. Heals skin- It acts as a medicine to treat several skin issues such as psoriasis and eczema due to its healing and anti-fungal properties. 3. Maintains the pH balance of the skin– Glycerin maintains the pH balance of the skin and do not allow the bacteria and fungi to grow and thus it prevents skin diseases. 4. Acts as sun protector- It locks the skin moisture and forms a layer that does not allow the water loss through evaporation. Thus, it protects the skin from UV radiations and keeps it healthy and hydrated. In just a few days you get a glowing skin. 5. Removes Dead Skin Cells– Glycerol promotes the breakage of proteins in dead and damaged skin cells and eliminates them. This promotes regeneration of new skin cells and you get a clean and clear fresh face. 6. Acts as emollient– Emolients are defined as non-cosmetic mosituriser that keeps skin flexible, moist, eases itch and prevents cracks. 7. Anti-ageing– Glycerol is a key ingredient if most of the anti-ageing products sold in the market. This is attributed to its moisturizing properties. The lack of moisture affects the activity of protease enzyme in the skin and accelerates the process of ageing. Glycerin, on the other hand, increases the moisture content and slows ageing. 8. Improves the permeability of the skin– Dry weather and lack of moisture dehydrate the skin causing it to lose permeability. Glycerine reverses this by maintaining the level of absorption. 9. Excellent toner– Being non-greasy glycerol acts as an excellent toner for oily skin. It hydrates the skin without excess production of sebum. 10. Clears acne– If you have acne prone oily skin glycerin is at the rescue. It has a neutral effect. It is anti-inflammatory, prevents infection and removes impurities. Thus, prevents acne. 11. Improves skin elasticity- Everyday exposure to UV rays depletes the level of skin collagen and damages the skin. Regular use of glycerin for skin, improves the collagen production, maintains the skin elasticity and keeps you youthful. 12. 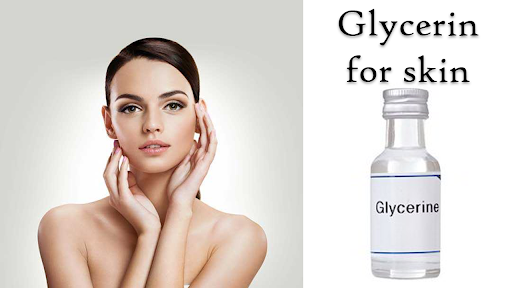 Gives you a younger and fresh look– Glycerin promotes the maturation of skin cells. Our skin sheds dead cells and younger cells replace them. Mature cells makes the topmost layer that produce lipids to form a protective layer on the skin. This process should not be interrupted or skin will look dry and dull. Glycerol promotes the maturation of younger cells that eventually moves to the surface before they are shed. Because of the reasons discussed above glycerin is one of the best home remedies to treat dry and dull skin. It hydrates and brightens the skin. However, glycerin is not just for dry skin but can be used on all skin types. It is equally suitable for oily skin and exceptionally gentle on sensitive skin.